Esports, and other games : ZAG Academy sponsors the Protea Esports Team. Mind Sports South Africa (MSSA) is proud to annouunce that ZAG Academy is now an official part sponsor of South Africa's National Protea Esports Team that shall attend IESF's 10th World Championships - Kaohsuing City. 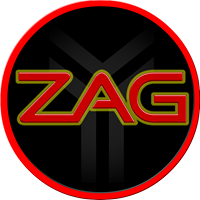 ZAG Academy’s aim is to grow esport in South Africa at grassroots level and to transfer that growth over to premier level esports. ZAG Academy supply a comprehensive esport support service providing everything from coaching and infrastructure to administrative support. ZAG Academy ensures a sustainable environment for growth in South African esport by imposing a model within the industry where experience gained at the top levels are directly relayed into the grassroots. This approach ensures that they seed the next generation of top esport athletes within their program. This has been proven over the past few months through the enormous success of their pilot program. In 2018 their pilot program produced 16 members of MSSA’s National Squads. With exceptional results and an unwavering commitment to growing esports, ZAG Academy has already established themselves as one of the major players in South African esports.